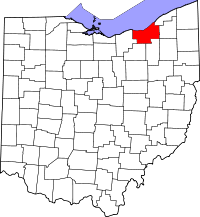 If you wish to retain information on how to obtain vital records from Cuyahoga County, Ohio, the Official Government Website of Cuyahoga County is a great source. They provide the information you need to obtain birth records, death records and marriage records. You can access their website by clicking on the following link, http://www.cuyahogacounty.us/en-US/public-records-faqs.aspx. Another website that provides great information on how to obtain vital records from Cuyahoga County is the Ohio Office of Vital Statistics at http://www.odh.ohio.gov/vitalstatistics/vitalstats.aspx. If you wish to make an online request for a death certificate or birth certificate, click on http://www.vitalchek.com. The VitalChek website is a great and secure way to make a request online.